The system has a tool to help you to easily print airport signs for airport pickups for your rentals. 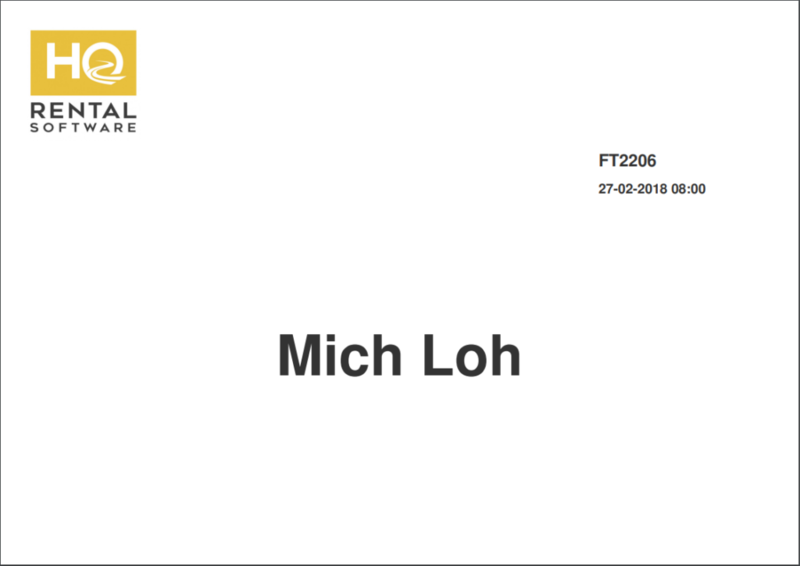 It automatically creates a printable document that consists of the customer name, your brand logo, the flight number and the pickup time. Where do I find the button? Firstly, navigate to the “Reservations page highlighted in dark blue in the picture below. Next, click on the “Hamburger” icon located on the top right of the screen, highlighted in orange in the picture below. Make sure that the “Actions” tab is selected. The button can be found, highlighted in orange in the picture below. 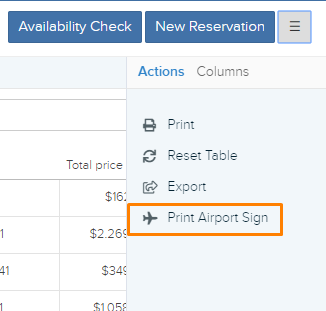 How to print an airport sign? Firstly, select the reservation(s) that you would like to create airport signs for. Next, click on the “Print Airport Sign” button. Once you have done so, a new page will appear. Double check the details of the reservations. Next, click on the blue “Print airport signs” button, highlighted in orange in the picture below. When you click the button, a new page will appear. The page will look something like this. You can print the sign by clicking the “Printer” button located on the top right of the screen. highlighted in orange in the picture below or press Ctrl+P on your keyboard. Next, navigate to “Advanced” tab as shown in the picture below highlighted in orange. After that, navigate to “Airport Signs” as shown in the picture below. These settings include “Show Brand Logo on Airport Sign”, “Flight Number is Optional?”, “Merge Brands in Airport Signs”, and “Show Flight Arrival Time on Airport Sign”.